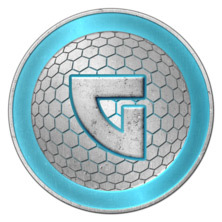 GridCoin is a new peer-to-peer internet based cryptocurrency that aims to provide real benefits to humanity by compensating the coin miners for participating in BOINC projects that may lead to advances in medicine, biology, mathematics, science, climatology, and astrophysics by concentrating a large percentage of the computational power towards BOINC research – instead of generating unnecessary heat and wasted power for the proof of work algorithms required to keep the coin network running. It is estimated that bitcoin is using approximately 23,312 megawatt hours per day of electric for block solving algorithms. The aim of the gridcoin project is to shift the computational power primarily to Boinc projects while the mining operations become a second priority – so as the network is scaled up, Boinc utilization is scaled up in tandem. The coin miners will be rewarded with a small token subsidy if they fail to mine Boinc shares, but a much larger subsidy when mining with Boinc. This digital cryptocurrency allows instant peer to peer transactions, worldwide payments and very low processing fees. The source code is open source and allows everyone to take part in the success of the currency. Gridcoin is based on the Bitcoin protocol but differs from Bitcoin in that it can be efficiently mined with consumer-grade hardware, therefore is not as likely to be replaced by specialized ASIC mining chips in the future. Gridcoin provides faster transaction confirmations (2.5 minutes on average) and uses memory intensive scrypt-based proof-of-work algorithms to verify transactions. 2.5 min block targets, for quick confirmations for merchants. Block reward: VARIABLE: 5 to 150 subsidy. 5 is rewarded if you mine with a miner like cgminer without Boinc running on the machine, 6-150 if you mine with boinc running, you will receive a calculated subsidy based on boinc utilization.